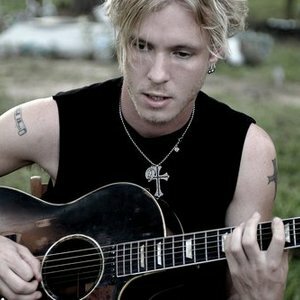 Kenny Wayne Shepherd (June 12, 1977-) is an American Blues musician. Shepherd was born in Shreveport, Louisiana. Self-taught, he began playing guitar at age 7, figuring out Muddy Waters licks from his father's record collection. Using his own contacts in the record business, Shepherd's father and manager, Ken Shepherd, helped his son land a major-label record deal with Giant Records. In 1995, his debut album was entitled Ledbetter Heights and featured original material and a few covers. Using his own contacts in the record business, Shepherd's father and manager, Ken Shepherd, helped his son land a major-label record deal with Giant Records. In 1995, his debut album was entitled Ledbetter Heights and featured original material and a few covers. He recently converted to Catholicism and overcame an addiction problem, and that's become a theme of his current work. He is married to Hannah Gibson, daughter of Actor Mel Gibson.